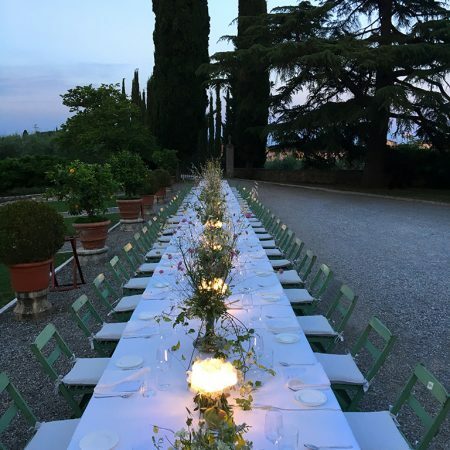 To celebrate the 10th anniversary of director Robert Wilson’s The Watermill Center, an interdisciplinary laboratory focusing on the arts and human studies, Slamp joins the “ART of the Treasure Hunt”, an exclusive experience organized by art collector Luziah Hennessey. 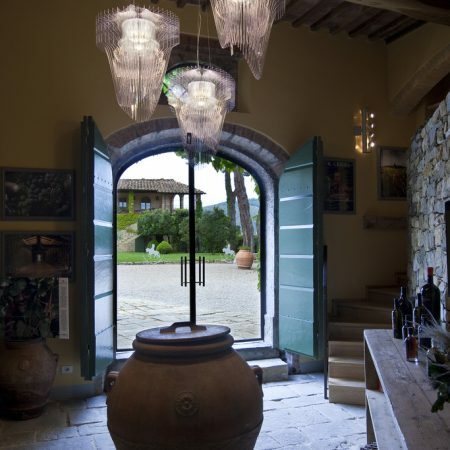 It will explore Tuscany, starting on June 30, 2016. 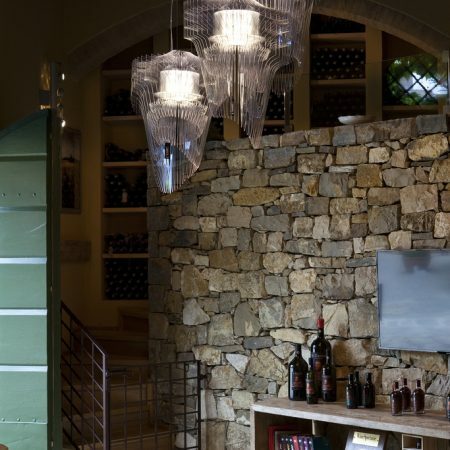 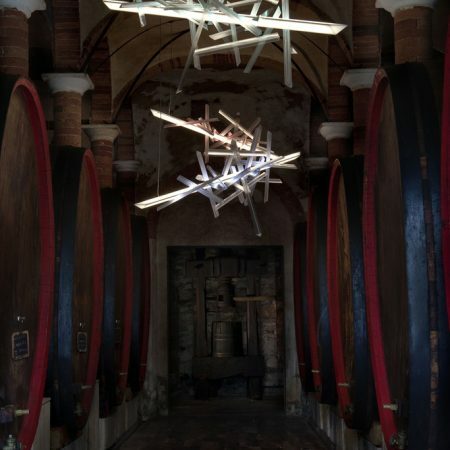 Amongst the contemporary pieces on display throughout Chianti, Zaha Hadid’s Aria chandelier shines in Borgo San Felice, as do Robert Wilson’s luminous La Traviata sculptures in the Felsina cantina. 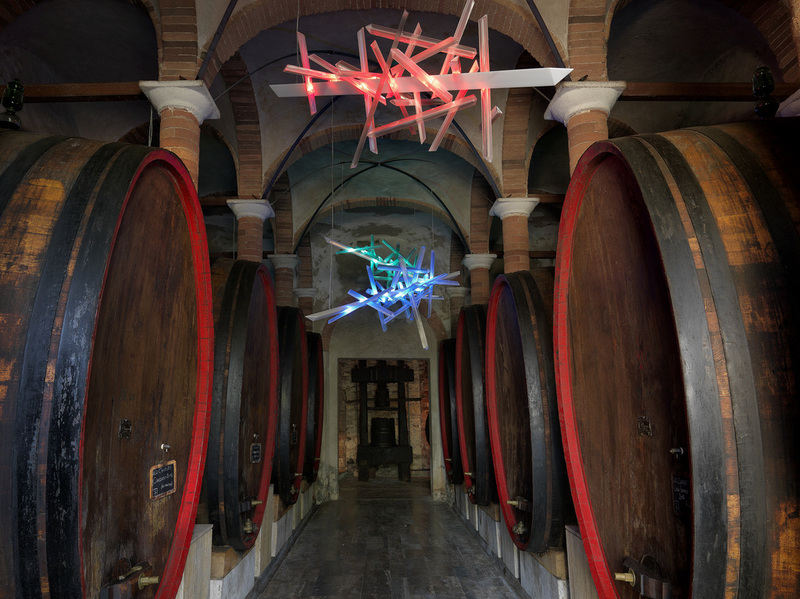 Both of the wineries selected the sculptures’ positions based on a strong relationship between the work and its surrounding environment, immersing the visitor in a fully sensorial context, where light, art and design present a unique and unforgettable experience. 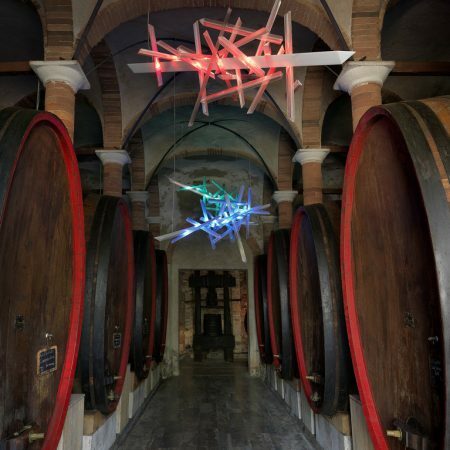 La Traviata, the light sculpture designed by Robert Wilson for Slamp, will be the star of a site-specific installation in the historic Felsina cantina in Castelnuovo Berardenga, Siena. 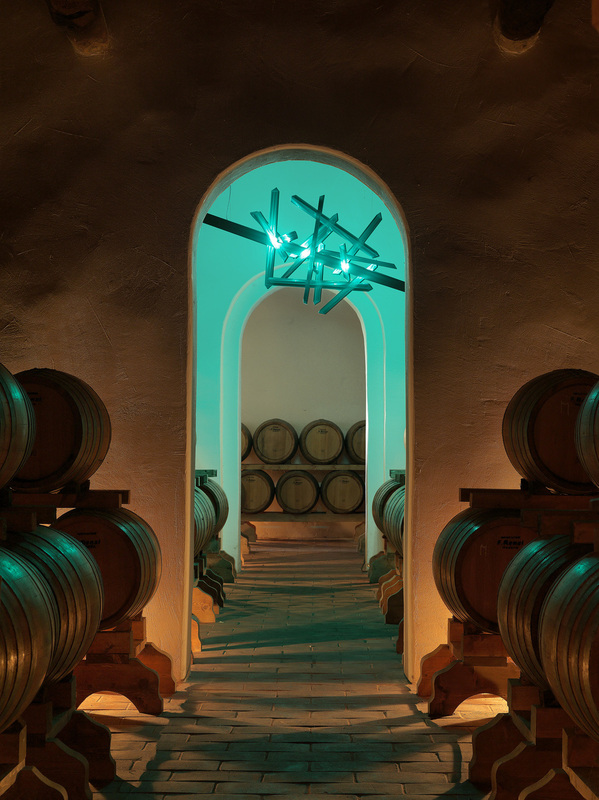 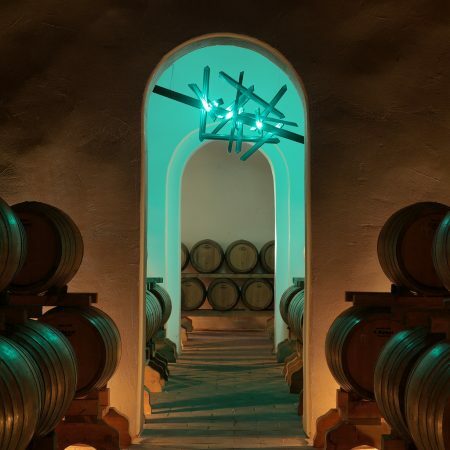 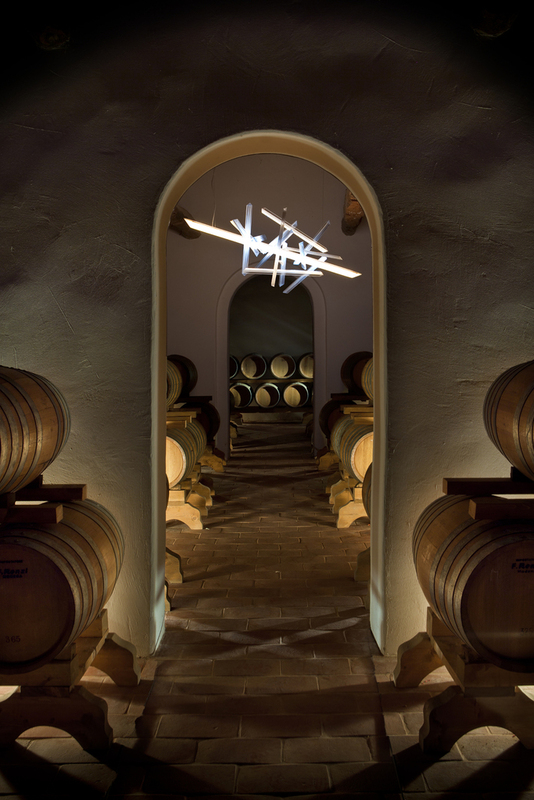 Wilson’s three light sculptures create a “polychrome” landscape suspended above the immense wooden barrels of Chianti Classico, as seen in the exclusive photograph shot by Massimo Listri. 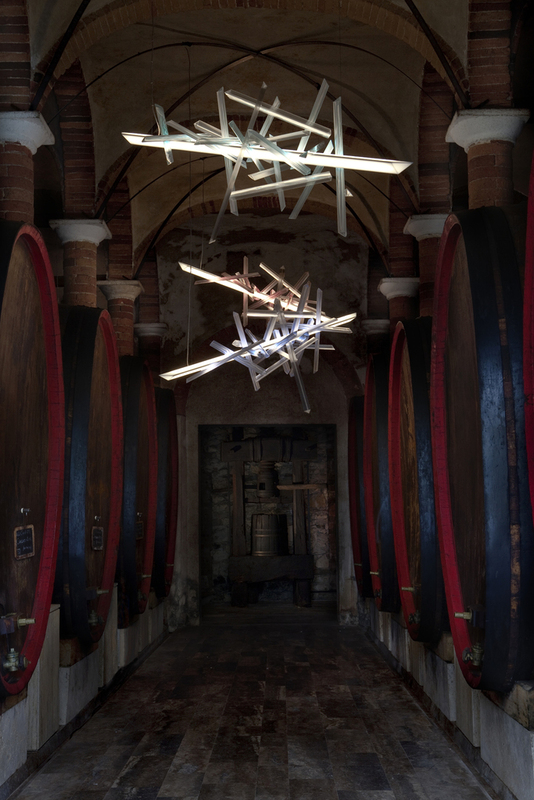 In parallel, an additional two La Traviata light sculptures are on display in the Relais & Châteaux Borgo San Felice chapel. 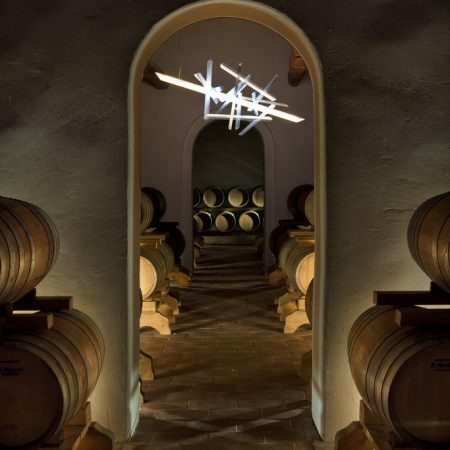 At the same resort, Dame Zaha Hadid is honoured with an installation of the Aria Gold, a new collection presented this past April. 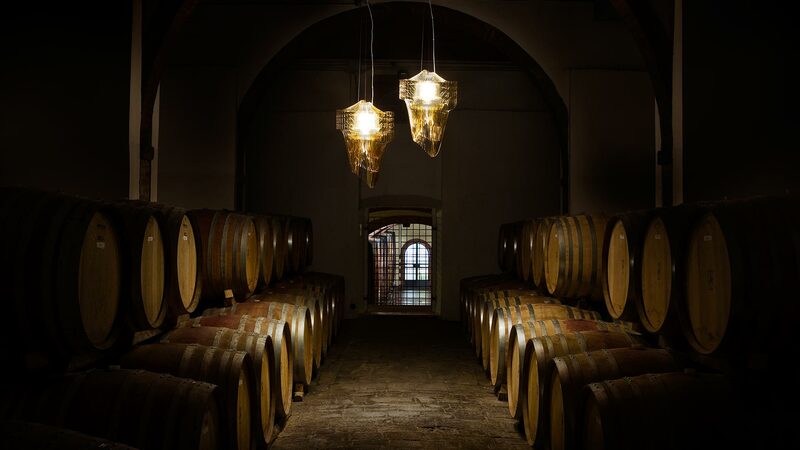 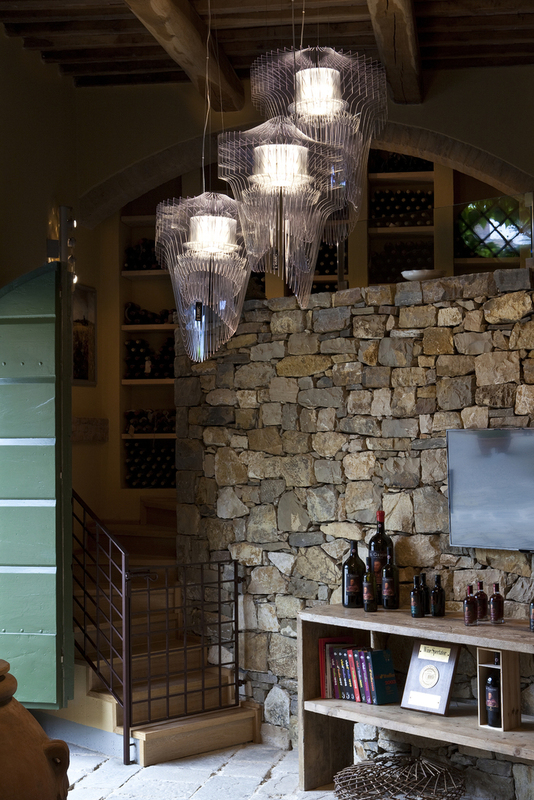 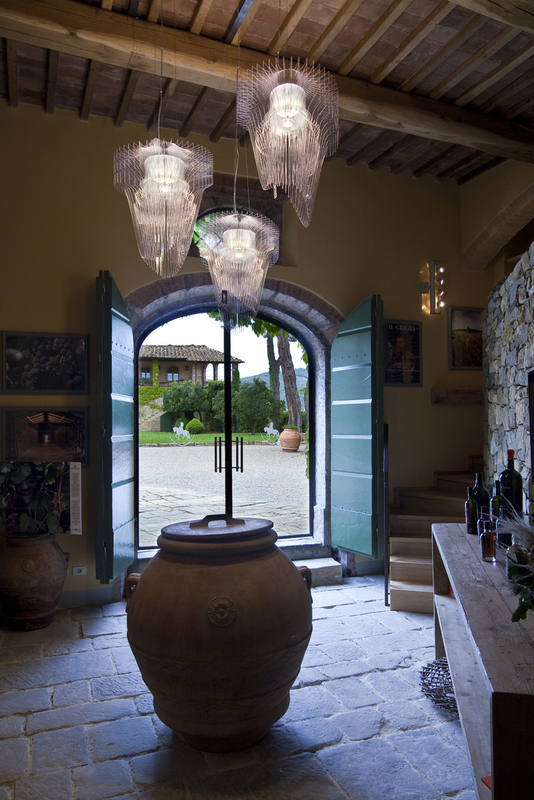 The lamps’ haunting aura will cast an air of mystery in one of the Winery’s hidden vinsantaie. 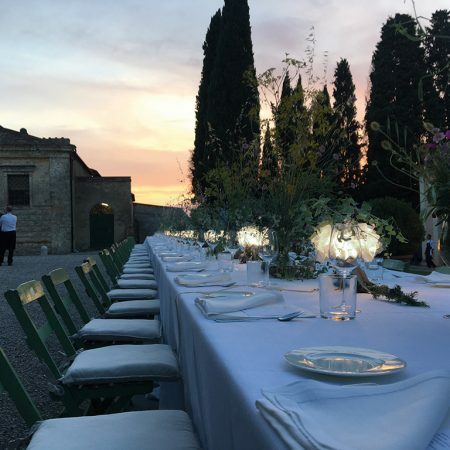 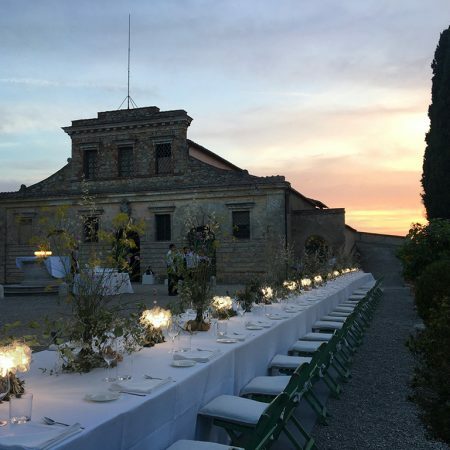 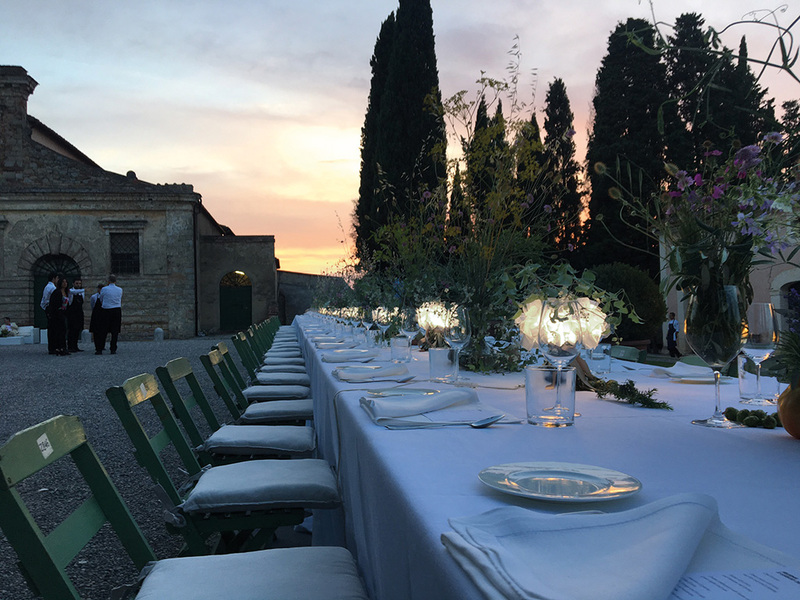 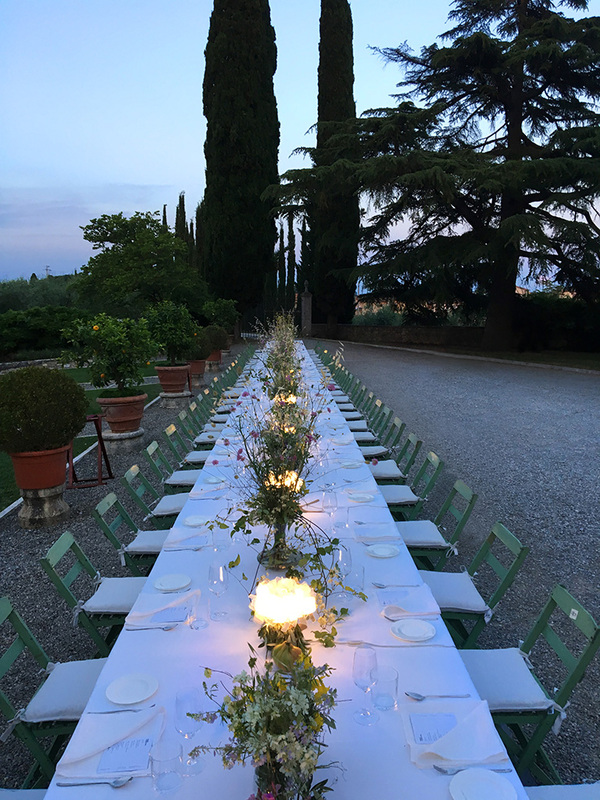 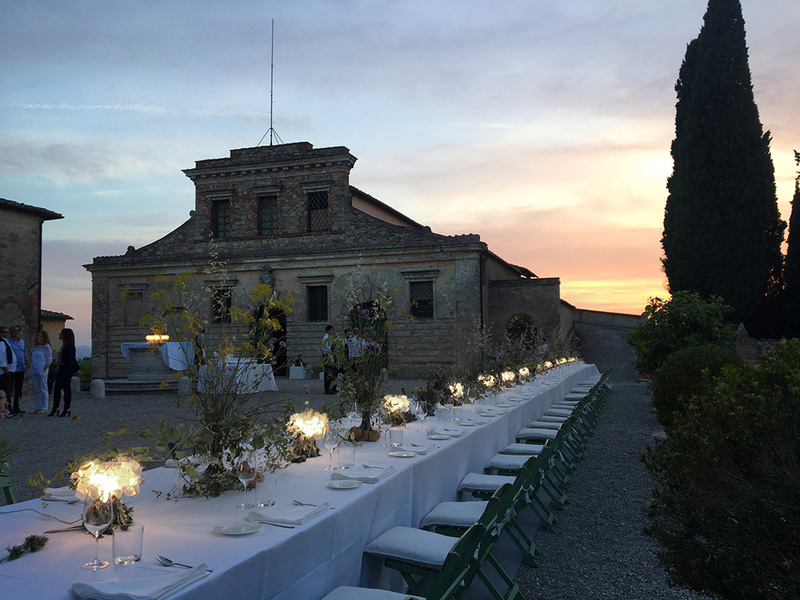 During the event, Luziah Henessey invites her guests to an exclusive dinner; their arrival marks the exact moment that the doors to the Felsina winery are opened, presenting them with an exceptional view of Wilson’s masterpiece, all while Verdi’s Prelude from La Traviata plays in the background.